Children Mending Hearts gives children the empathy and courage to support and stand up for others. Our program helps schools create positive and safe learning environments where every student can learn and grow. Children Mending Hearts believes no child should suffer the pain and fear of being bullied. We believe the only way to end bullying and intolerance is by building a culture of empathy and kindness. Children cannot simply be told about behaviors like kindness and respect. 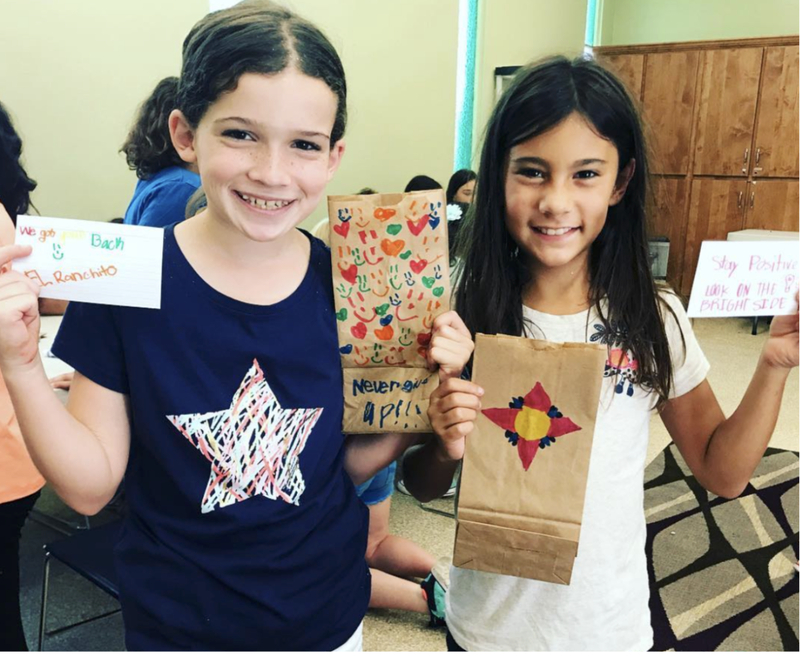 Children Mending Hearts' art and service-learning projects are designed to help kids become aware of other people's feelings and to see situations from alternate points of view. Children don't just learn empathy through our programs- they learn it at school and at home, from the other adults and children in their lives. Children Mending Hearts provides parents and teacher with resources to provide well-rounded empathy instruction. When children grow into adults without a sense of empathy, we all suffer. We are all affected by living in a world where we lack the ability to understand or care about the plight of another human being. Society's success depends on raising children who care for other people. And empathy is the key driver of kind and compassionate action. By developing empathy in young children, Children Mending Hearts helps them feel valued while nurturing their ability to relate to others. This plays a crucial role in helping to understand conflicts not just in their own lives but in the world as well. Empathy is transformative. It can reduce the chance of a child being bullied. It can enable world leaders to find peaceful solutions. It can inspire nations to open their doors to families fleeing war and violence. It can inspire future generations of loving and compassionate global citizens. Empathy can change the world.